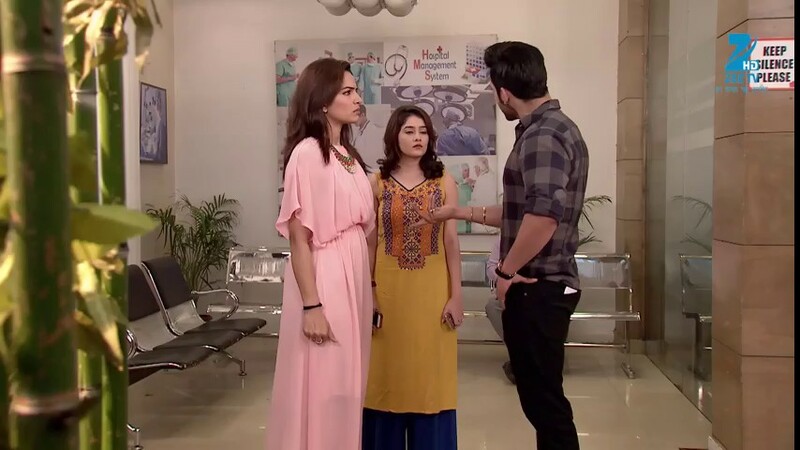 Purab suggested that they should bring Pragya back in Abhi’s life, but she denied saying that it might risk Abhi’s life. She stated that he would stress his mind a lot to recollect the memories he spent with Pragya. She wished Abhi to get alright with time as she could not risk his life by doing anything. Pragya was coming back from her office and was looking for an auto rickshaw but they were on strike that day. Abhi was passing from there and offered help to her and said that he would drop her home. Pragya denied but Abhi insisted as he remembered that Pragya helped him once and got his favourite coffee too. Pragya then gave him the reason for not taking help that her family might not like a boy dropping her to home. Aaliya and Tanu were in pub and asked Abhi too to come there. Pragya was walking but fell suddenly and got a strain in her leg. Abhi then asked again if he should a drop her home. She agreed. Purab called Pragya and heard Abhi’s voice too. He asked her if she was with Abhi. She denied and said she was on her way to home. Purab thought it ‘d be nice if Abhi and Pragya reunited. Abhi took Pragya in her arms when they reached the home as Pragya was not able to walk properly. Pragya was afraid to take him home so she asked him not to go inside the house and leave her there only and she would manage to own her own to get inside. But Abhi said he would not leave her in that condition. Sarla, Beeji, and everyone was busy in the house. Abhi entered with Pragya in his arms and said hello ladies. Sarla and Beeji were surprised as well as shocked to see Abhi there. Abhi introduced himself and said that he was Abhi the rock-star. He saw all of them shocked on seeing him there and asked why they all were seeing him like as if they had seen a ghost. He told them that he helped Pragya as she was not able to walk properly as she got strain in her leg. Sarla went to Abhi and asked if he knew Pragya. He told her that she was a receptionist at the company he was working with, and her name was Nikita. He further said that she was egoistic and stubborn. He then asked for the washroom but guessed the direction and to his surprise it was correct.